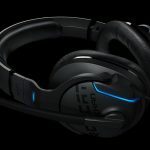 ROCCAT KHAN AIMO 7.1 Surround Gaming Headset Product Review – The Greatest Gaming Headset Out There Today? I have reviewed great gaming headsets here on ThisGenGaming, and at the time, I thought that gaming headsets could not get any better. This all changed when the amazing people at ROCCAT sent out the KHAN AIMO which is by far the greatest gaming headset I have ever had the opportunity to review. 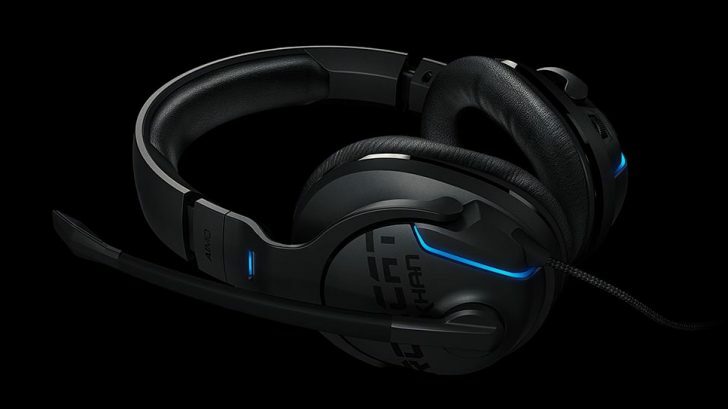 Why is ROCCAT’s KHAN AIMO headset so great? I will tell you why in three different categories which is design, that will also cover the comfort of the headset. I will also be going over the sound and value of this incredible headset. Ever had a headset that ticked off all of your feature preferences, and felt like this is going to be the headset for you, until you actually tried them on. It’s happened to me before, and it’s one of the worst feelings when picking out headsets for gaming. A design that puts comfort as a high priority is an absolute must. There’s some gamers out there who are going to be wearing these headsets for many hours, so comfort of the headset has to be pretty much perfect which for me personally, was almost becoming impossible. The KHAN AIMO has changed that for me however with an incredible dedication to comfort levels. The headset uses memory foam earpads that quickly adjust to your ears, and makes extended gaming sessions feel like you have two bed pillows hanging on your ears. The headset was also noticeably light for being such a feature packed headset. Like ear comfort, I’m sure that a overly heavy headset has also ruined what could’ve been a perfect headset for many (it has for me!) At times it didn’t even feel like a headset was being worn, it felt almost apart of me after not too long as crazy as that sounds. Moving away from the comfort design, I want to talk about the incredible AIMO features of this headset. I’m a huge fan of ROCCAT’s unbelievably high quality AIMO illumination feature with their products, it makes an already impressive looking product look that much more impressive. The KHAN AIMO offers four fully customizable LEDs on the headset, all you have to do is download the super easy to use software called ROCCAT SWARM. Once you have the software downloaded, and your KHAN AIMO has been linked to the software then you can go crazy with the color customization, and give the headset your own personal touch. Overall, I was extremely impressed with the KHAN AIMO’s design, and as always with ROCCAT products, you can expect it to be of very high quality even before you try it yourself! The KHAN AIMO offers some of the best sound quality I have ever heard from a gaming headset before, and it’s not surprising when it boasts such incredible sound features such as a high-fidelity 24-bit 96KHz DAC sound card, 50mm drivers with robust diaphragms that “deliver rich 7.1 audio with precision and clarity” which lets you locate sounds “flawlessly” and if you are someone who hates background noise interruptions then you can put your fears to rest with the KHAN AIMO as it features personally the best noise cancellation that I’ve ever tested out for a headset. I live in an area where noise is just unavoidable, and at times can be really loud, and this headset cancelled the noise out with ease every single time they were used. It’s actually crazy how good the noise cancellation is with this headset. You can currently purchase the KHAN AIMO for £104 or $120 depending on where you live. I’ve got to say that this price is absolutely fair for what you are getting. It is a premium gaming headset, so if you are looking for the best of the best gaming headsets then look no further because I don’t think it currently gets better than the KHAN AIMO. If you are working with a tighter budget then it might not be best for you, but if you can manage to squeeze the budget a little higher then this is the headset that is worth forking out a little extra for! I don’t think there is much more to say that I have not said already, the headset is amazing and anyone who wants a premium quality headset needs to get the KHAN AIMO. I have been super fortunate to have been sent a few ROCCAT products, and I’ve not even been close to disappointed with anything sent. ROCCAT deserves all the praise as one of the best for PC gaming products today, and I can’t recommend their products enough, especially this amazing gaming headset. Buy Your ROCCAT KHAN AIMO At Amazon UK!